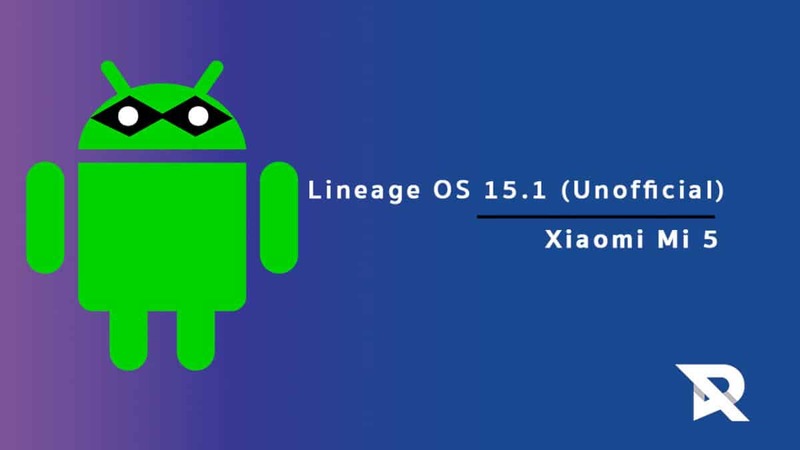 Download/Install Lineage OS 15.1 On Xiaomi Mi 5 | Install Android 8.1 Oreo : Xiaomi Mi 5 has now received the the unofficial build of Lineage OS 15.1 which is based on Google’s latest Android 8.1 Oreo which means users can Update Xiaomi Mi 5 to Android 8.0 Oreo via Lineage OS 15.1 (Unofficial).So if you are a Mi 5 user, then follow the guide carefully. Xiaomi Mi 5 has a 5.15-inch touchscreen display with a resolution of 1080 pixels by 1920 pixels at a PPI of 428 pixels per inch.The device is powered by 1.3GHz quad-core Qualcomm Snapdragon 820 processor paired with 3GB of RAM.It comes with 32GB of internal storage which cannot be expanded.The Xiaomi Mi 5 sports a 16-megapixel main back camera and a 4-megapixel front selfies shooter.The Xiaomi Mi 5 runs Android 6.0 Marshmallow out of the box and houses a 3000mAh non removable battery. 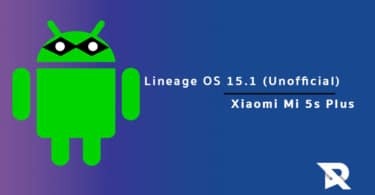 We like to thank bgcngm, Recognized Developer over Xda for sharing this unofficial build of Lineage OS 15.1 for Xiaomi Mi 5 users.This custom ROM is based on latest Android 8.0 Oreo source code.We don’t recommend users to use this ROM as a daily driver as of now.The ROM is still in its initial development stage.We are sure in coming days all the bugs will be fixed by the developer. 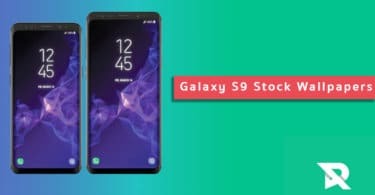 As Lineage OS 15.1 is based On Android 8.0 Oreo’s Source code, it has all the latest Android Oreo features and in addition to that Lineage OS also has some extra customization features. Above are some of the main features Android 8.0 Oreo (Lineage OS 15.1.0) comes with. But there are much more. Overall Lineage OS is the best Custom ROM available for Android. Make sure you have taken a backup of your important data.Now proceed To Install Lineage OS 15.1 On Xiaomi Mi 5.